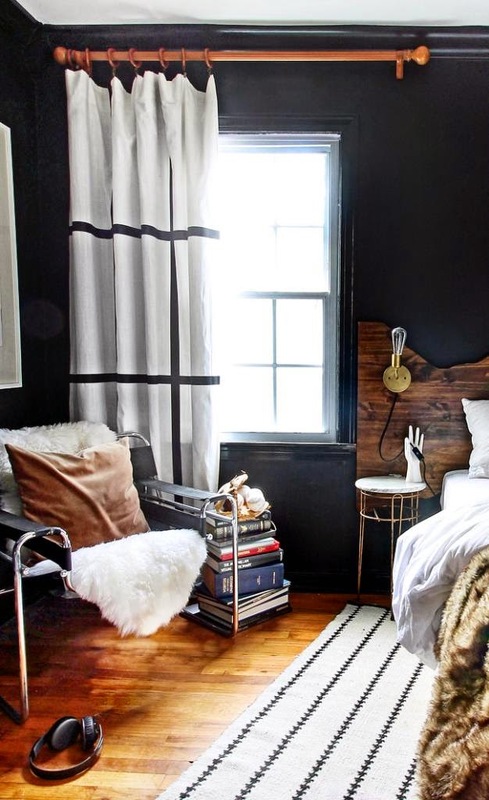 Several months ago, I wrote about ways to decorate with very little or no money at all. 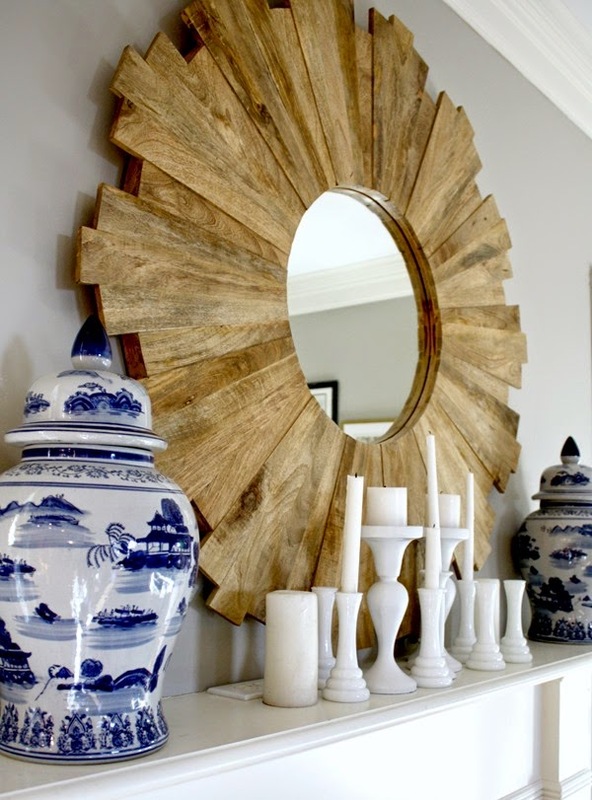 Today, I'm sharing a few more budget-friendly or no-cost tips for decorating. Have kids? 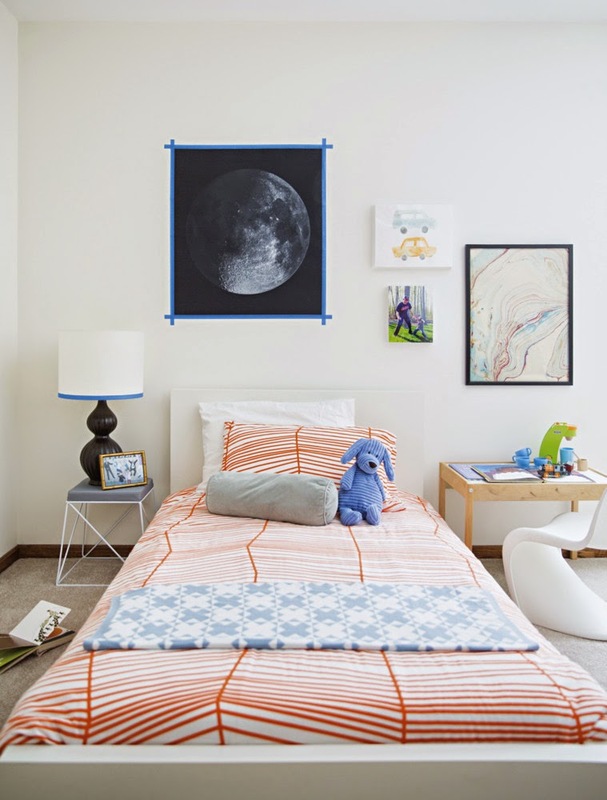 Encourage their creativity by prominently displaying their artwork. Our young artists deserve more than just having their art on the refrigerator door! 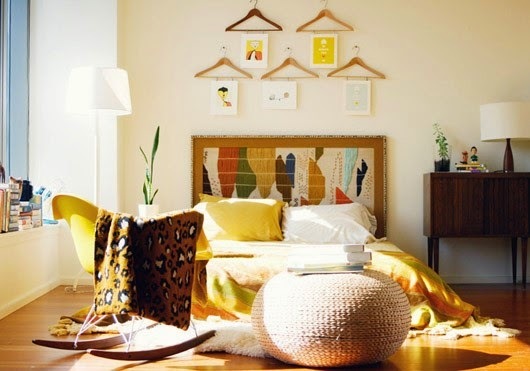 Their drawings and paintings will inject instant color and pattern into any space. I especially love the free-flowing creations that kids make. The more abstract, the better! 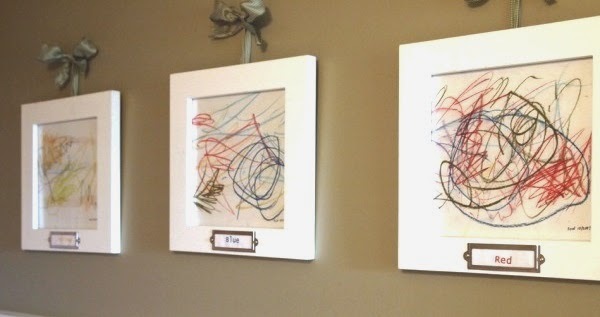 My kids' artwork serve as the primary decorative accessories in their room. Flexible display solutions are great for changing up artwork. Shelving and cable wires are easy and effective solutions to display rotating art. Giant laundry clips! They are a piece of art in itself. 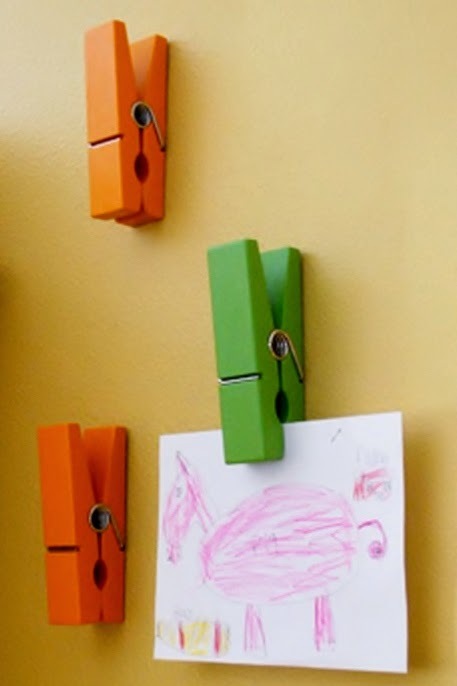 Re-purpose wood hangars with the built-in clips. Clever! Customize the look of your existing draperies or add some interest to plain fabric by adding ribbon! The best part about embellishing with ribbon is that you don't even need to sew it on. Perfect for a non-sewer like me. Fabric adhesive or iron-on tape will work great. Group like-colored items together to create an eye-catching display. 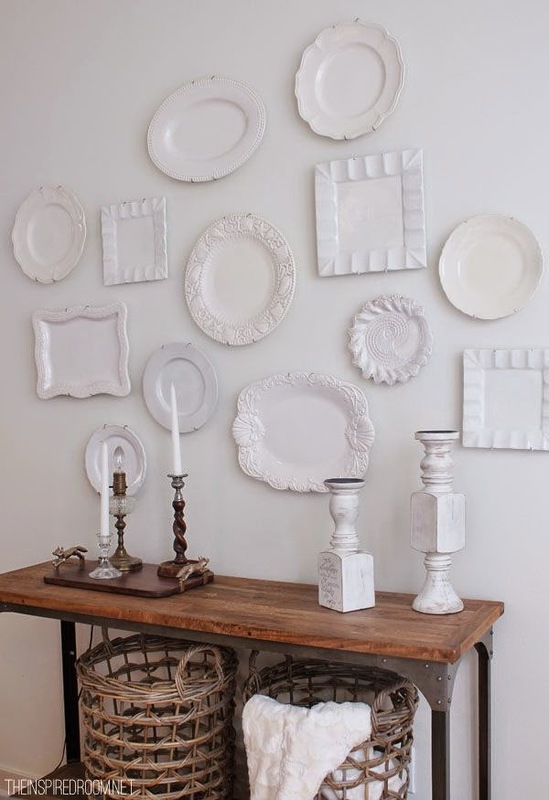 Design Tip: Do you have several random items lying around, like candlesticks, vases, plates, etc.? If they aren't color-consistent, use spray paint to unify them, then group them together to create a cohesive display!